Though a minimalist by nature, Damir Doma’s AW17 collection was soulful and intuitive. 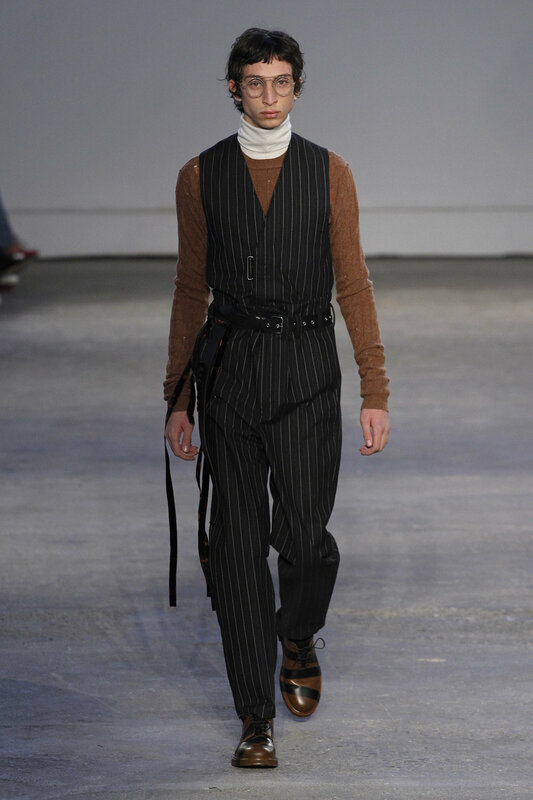 With an array of distressed knitwear and uneven hemlines, Doma stayed true to his grunge roots, yet the earthy tones that dominated the line created a sense of warmth and invoked humility. 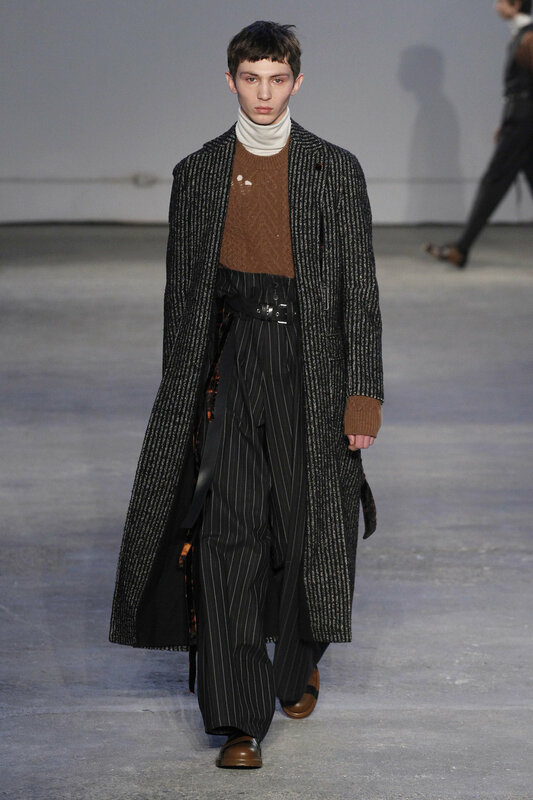 The clothes were folkloric and paganish in their appeal; slouchy yet voluminous silhouettes, a disheveled mix of textures, and heavy knitwear in shades of umber. 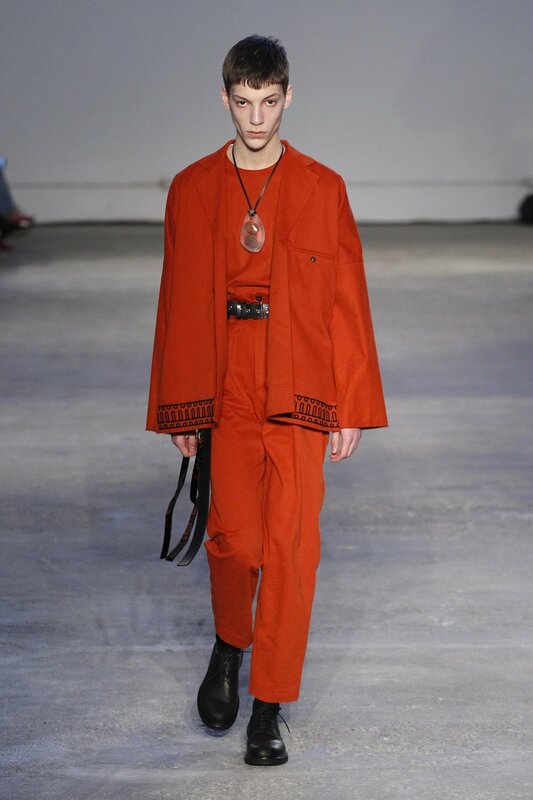 There were also some prominent references to Eastern culture, with the highlight being the blood orange dresses that resembled robes of buddhist monks. This was Doma’s second season in which he had presented both menswear and womenswear together, a notion that is relatively (and strangely) new to the industry, yet Doma proves he’s far from amateur to the concept.